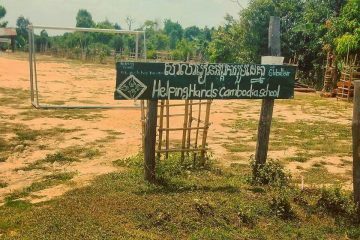 Helping Hands was established by Deborah Groves in 2006, and is based in the village of Prasat Char, around 25km from the centre of Siem Reap, Cambodia. 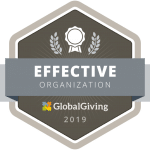 The organisation was registered as a Cambodian local NGO registration in February 2007, and today, is managed by Globalteer, a UK-registered non-profit charity. From humble beginnings working with the community to offer emergency medical care and simple farm tools, Helping Hands has grown to encompass a school and a holistic array of projects. Helping Hands provides a safe location for children to learn, play and grow. The students are provided academic education, nutritious breakfasts, and health and social care. Helping Hands was founded by Australian photographer Deborah Groves. Having visited the village of Prasat Char in 2005, Deborah was so moved by the poverty in which the villagers were living, that she vowed to help. The community made a request for health care and education to be made available to them, so Deborah set about obtaining funds and volunteers to help her get Helping Hands set up. Having sold much of her belongings, and with some assistance from her brother she raised enough funds to build a school, and in 2006, with the help of 90 villagers, the school was built. Helping Hands steadily grew, to not only educate the children, but also to provide breakfasts, and health and social care. In April 2012, following a change in personal circumstances, Deborah was no longer able to provide the level of time and commitment needed to continue running Helping Hands. She sought out an organisation with the same philosophy as her, and with the capacity and level of commitment to Cambodia to ensure the continuation of her organisation. In April 2013, Deborah handed over the management of Helping Hands to UK registered charity, Globalteer (charity no. 1119706), and it has grown sustainably to the holistic, community-led education and development work that we deliver to this day. At Helping Hands, our aim is to give people a 'hand up', not a ‘hand out’. We want to enable the Cambodian people to help themselves. Through education, we empower our students and their families to break out of a life of poverty. Our aim is to build up the pride and dignity of individuals, family units and the village community as a whole. Helping Hands therefore works on the core principles of providing opportunities and support, rather than basic ‘giving’. At every stage we work with the community to understand the changing priorities of the village. Through meetings with the village chief, community elders, parents and teachers, we all work together to address the needs of the village. Click here to read all about our local team.